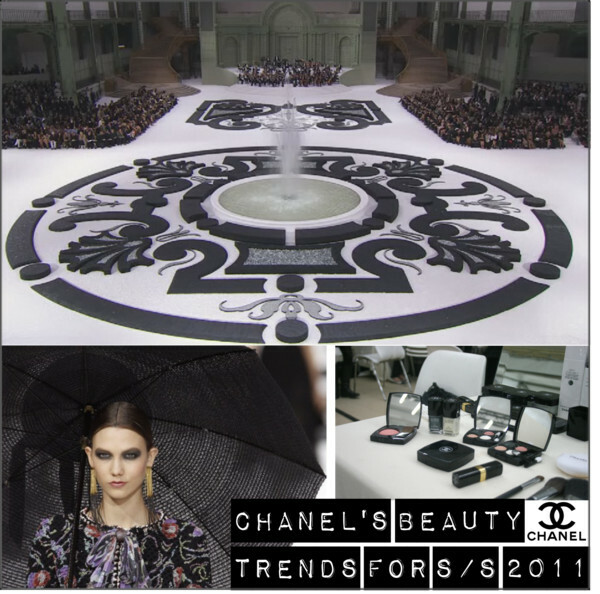 As Chanel is always a big trendsetter for make-up looks, I was eager to have a closer view at what is coming next for S/S 2011. Since 1994 (the launch of Rouge Noir), Chanel has consistently turned out must-have nail polishes. So what is it going to be next spring? Et voilà, question answered: It will be all black and white. But it would not be Chanel if it was an ordinary black. Black Pearl is more a metallic green-gray colour reminding me of an oil-black sheen. On the toes, it was all about Pearl Drop, a milky white, beautiful for summer. 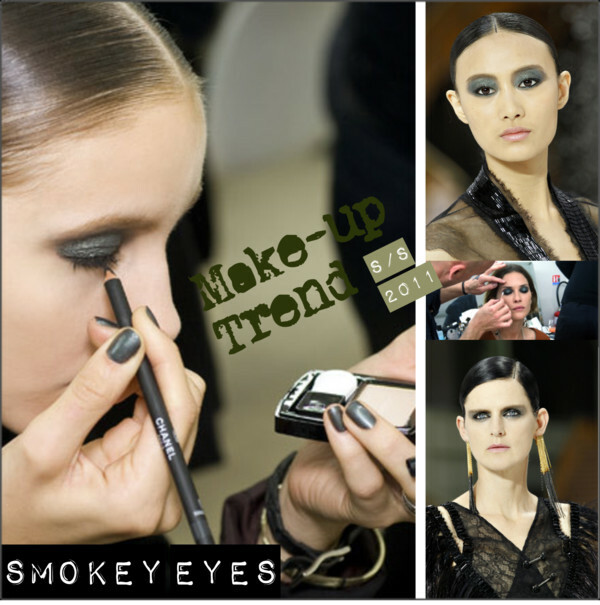 The make-up itself was focused on the eyes, emphasizing them with a smokey look. Peter Philips, Chanel’s gobal creative director of make-up, used an emerald tinged onyx black shade and for the lips and cheeks just a little rosy shimmer. It might seem a little dark for summer but I always like the spot on the eyes. Very pretty! 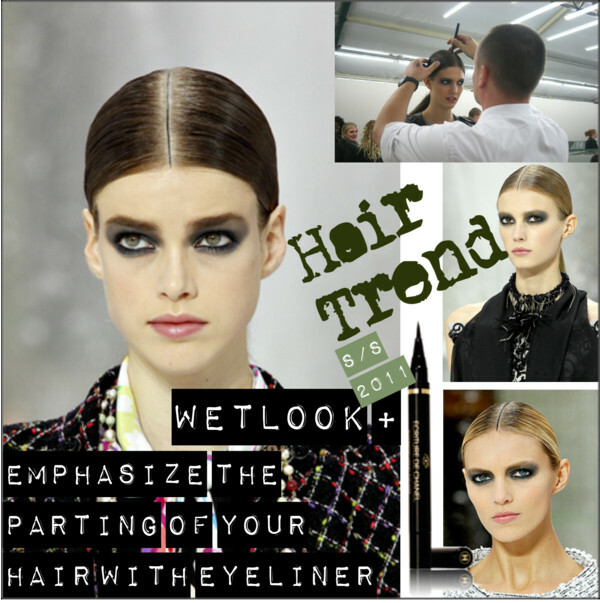 A total invention was the sleek hair with a liquid eye pencil line down the model’s center part. Who is up for this?